Elite Packages Super Packages Responsive Packages Testimonials Why us? 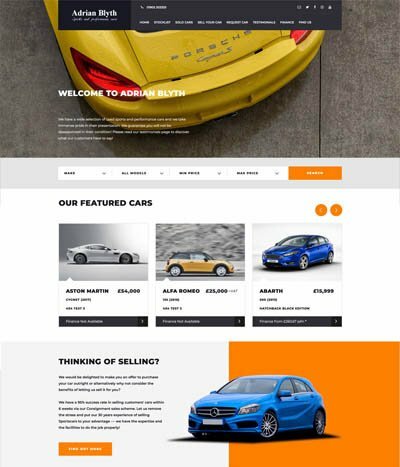 By far our most popular responsive design. 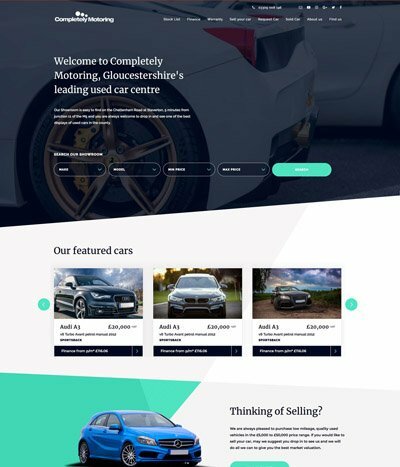 An extremely flexible website that can allow many variations of layout. Simply changing one colour on this design can make all the difference. 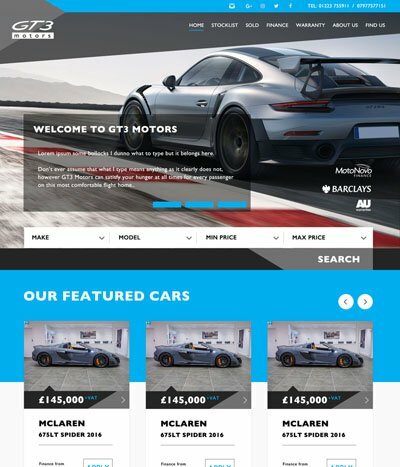 A clever design using angles to the max, this website is another popular choice for dealers. It looks amazing on a desktop screen and screams professionalism. The spot colours on the design will jump out of the screen at your customers. Modern and edgy, this design features angles, punchy colours and clean lines. Totally flexible and fast. Does what it says on the tin! This design keeps things very simple and minimalistic but keeps it all wrapped up with clean lines and a stock grid layout. Perfect for logos with a white background. Like the original Racetrack design - this too isodern and edgy featuring angles, punchy colours and clean lines. Totally flexible and fast. Suits branding with brighter colours. 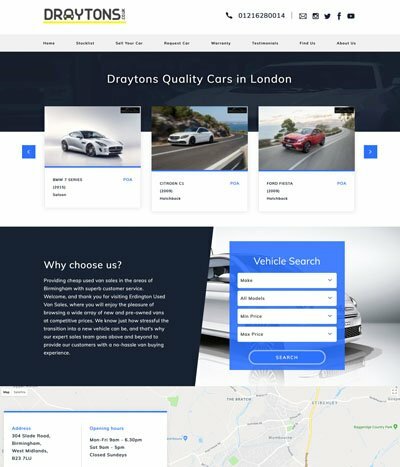 All our new Responsive websites are GDPR compliant and look amazing. Car Dealer 5 offer great flexibility. Changing the colours on a responsive package is instant. 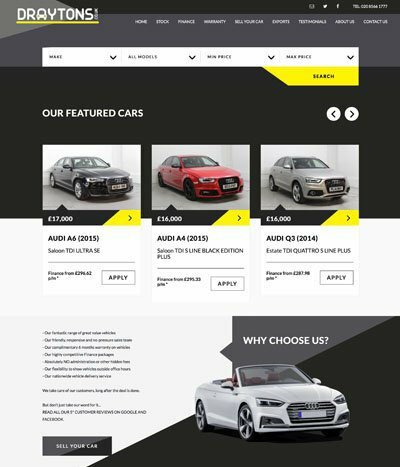 Due to the way the new website designs are structured, Car Dealer 5 can have a responsive website up and running from start to finish within two hours. Car Dealer 5 supply a Finance Bolt on to enable you to supply approximate monthly costs for vehicles based upon the default deposit amount you set and your fixed APR percentage. A full finance enquiry form is also supplied and the data entered is stored to your Car Dealer 5 control panel. Car Dealer 5 work with Ivendi, Codeweavers and Evolution Funding to supply first class finance integration solutions. At the flick of a button we can have you operational with either provider. * From £450.00 based manual stock entry.